We also have a well-rounded exposure to the requirements of the international maritime trade. 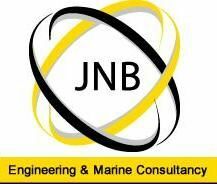 Our company has been operating in the fields of electro-mechanical engineering services in Ethiopia for more than three years and has been under preparation to be the first indigenous marine consultancy service provider with the purpose of providing a single-window solution for maritime expertise while ensuring that only the best professional ethics are practiced. We aspire to have the following private and public sector of the marine industry in the country to be our clients and we hope to help them in their endeavor to meet the challenges of a demanding maritime industry. Competence of our personnel through continuous training and systems for up gradation of knowledge. Integrity and value based management using transparent systems. Promote accident free operations through healthy, safe and environment friendly working conditions. Security systems & requirements with special attention to the mandatory International Maritime requirements. Co-operation in supporting our customer’s Quality, Health, Safety, Security and Environmental system implementation. Compliance with relevant statutory and regulatory requirements in force. Promoting achievement and growth by focusing on modern technology and methods to continually improve our service and product standards.